Good Choice Reading: GCR Book News Saturday! THE HUNGER GAMES IN IMAX! On April 20, 2012, Lionsgate and IMAX announced that due to overwhelming demand, The Hunger Games will return to over 100 IMAX theatres for one week only! The movies will run from Friday, April 27th through Thursday, May 3rd. 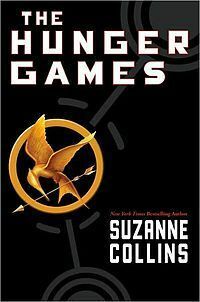 So far, The Hunger Games has grossed over $533 million globally. Are They Just Getting Greedy Now? Or is there really a "demand"? 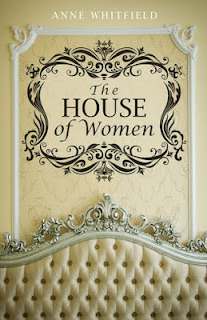 The House of Women by Anne Brear is available in the Kindle Store for free until tomorrow (Sunday). As the Victorian Age draws to a close, lonely Grace Woodruff fights for her sisters' rights to happiness while sacrificing any chance for her own. Grace struggles to hold her broken family together through her father's infidelity, a sister's alcoholism, and another's pregnancy (out of wedlock). But all is not lost. In the midst of tragedy, the fires of her heart are rekindled by another. Will the possibility of true love lead Grace to relinquish her responsibilities in the house of women and embrace her own right to happiness? Click here to get the book. Ready for the next great film based on a dystopian novel? Lionsgate Entertainment has acquired the film rights to the Y.A. fantasy novel trilogy: Chaos Walking by Patrick Ness. The first book in the series is titled: The Knife of Never Letting Go. The movies is already being written by academy-award winning screenwriter: Charlie Kaufman. The book is set in a dystopian future where humans are colonizing a distant earth-like planet. When an infection called the Noise suddenly makes all thought audible, privacy vanished, chaos ensues, and a corrupt autocrat threatens to take control of the human settlements and wage war with the indigenous alien race. This Book Sounds Awesome...Why Haven't I Read It Yet?? 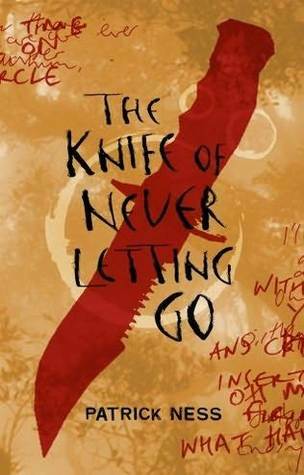 I've heard so many good things from The Knife of Never Letting Go, both from book blogs and my friends, and I still need to read it! I looked up Charlie Kaufman and I can't say that I've seen any of his movies, so I guess I'll just have to wait until this one comes out. As for The Hunger Games in IMAX, I have no doubt that there's a demand, or at least there's one now. So long as it's there, there are people who will see it three, four times, or who already have. I'm SO bloody excited that The Knife is going to be a movie. I just fell in love with this series. It's so epic!!! Although I did see The Hunger Games twice, I've not seen it in IMAX. I've never heard of The Knife of Letting Go either, until now, that is. Sounds interesting. Thanks for sharing. The Knife of Never Letting Go sounds like an interesting movie. WoW! I have to get a move on The Knife of Never Letting Go! I haven't personally read The Knife of Never Letting go before but from the reviews I have heard and just plain word of mouth I think it has the possibility of being a great movie. If, of course, they do it right and don't take too many liberties ( uh-hum, MADGE). As far as Hunger Games coming back for 1 week only in IMAX, it seems like it may just be a money making ploy, and I completely understand, cause it will make money. I think I am good though. Too dang expensive for a movie I have already seen!